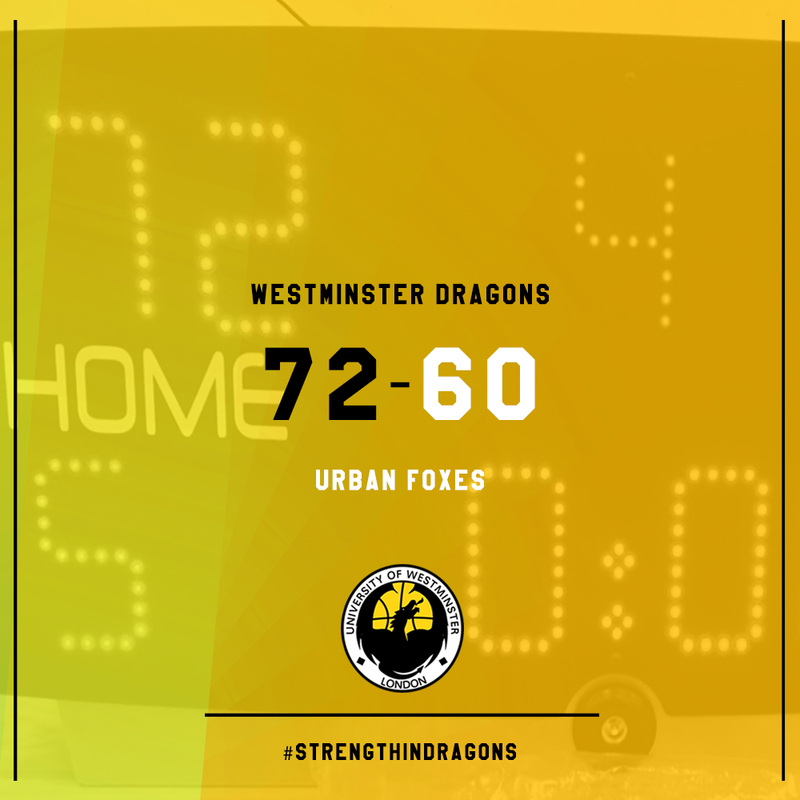 Westminster Dragons start the week with a strong 72-60 victory over Urban Foxes today! Westminster found themselves down 1 point in the half 29-28. Urban Foxes physical style of play was causing problems for the Dragons. However a strong 2nd half including a dominating 25-13 3rd Quarter was enough to seal the Dragons 2nd LMBL victory of this campaign. Freshman Vlad Petrea exploded for 19 points & shooting guard Atilla Öztuncay contributed with an impressive 18 points on his return to the team. Center Teo Psychidis continues his double-double performances adding 19 points on the scoresheet. Captain Petr Soukup scored 8 points with 2 shots from beyond the arc. The Dragons depending on results later this evening will move to 1st Place in the LMBL Men’s Division 2 with a 2-1 record.